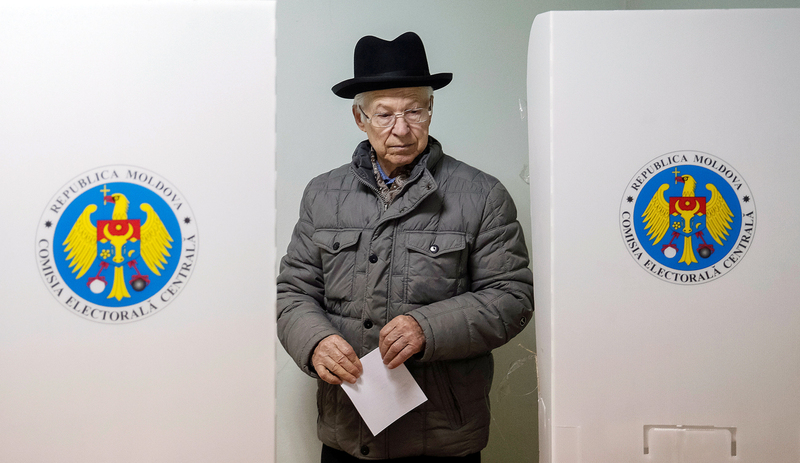 On Nov. 13, presidential elections were held in Moldova and Bulgaria. In both countries, victory went to opposition candidates skeptical about Euro-integration and favoring closer relations with Moscow. However, Russian analysts do not expect any dramatic changes since presidents in both countries wield rather limited power. Moldova’s first direct presidential election has resulted in a convincing victory for the leader of the Party of Socialists, Igor Dodon, widely seen as a pro-Russian candidate. In the runoff election, Dodon got 55 percent of the vote, while his opponent Maia Sandu got 45 percent, the country’s Central Electoral Commission said. Sandu was the single candidate from an alliance of pro-European forces that advocate closer ties with the EU for Moldova, one of Europe’s poorest countries. Earlier, she proclaimed that Moldova should reunite with Romania into a single state. Although not all ballot papers have yet been processed, Dodon has announced his victory and thanked his supporters. However, the defeated coalition complained of numerous voting violations and urged its supporters to take to the streets in protest. Dodon is an experienced politician: He has served as a member of parliament and worked as a deputy prime minister. He has more than once called for improving relations between Moldova and Russia and has connections in the Russian political elite. In an interview with the TASS news agency, Dodon announced that, if elected president, his first foreign visit would be to Russia to “discuss issues of friendship, cooperation and settling the Transnistria conflict,” referring to the pro-Russian region along Moldova’s eastern border that has been a thorn in Chisinau’s side since breaking away in 1990. In October this year, Dodon said that, if he came to power, he would hold a referendum on canceling Moldova’s agreement on association with the EU, which – according to him – had been adopted in haste. It should be noted that Moldova is a parliamentary rather than a presidential republic, which means that Dodon will not have a decisive role to play in forming the country’s policies. In the current parliament, supporters of the new president do not have a parliamentary majority to promote his initiatives, says Sergei Utkin, head of the strategic assessment section at the Institute of World Economy and International Relations under the Russian Academy of Sciences. It is worth noting that on the issue of Crimea, which is essential for Russian politics, Dodon has more than once sided with the official Russian position. He also said that the situation with Crimea is a spur to starting political talks with Transnistria. He is ready to offer to the breakaway region broad autonomy within a single Moldovan federation. Post-Soviet frozen conflicts: What is happening in Russia’s backyard? Deputy head of the CIS Institute Vladimir Zharikhin says that, with Dodon’s arrival, there are grounds to expect changes in the Transnistrian issue. “Why did Transnistria break away? It was not about ethnic or political issues. The problem was around one thing: Whether Moldova will merge with Romania or not,” Zharikhin explained. He points out that Dodon’s election means a rejection of the course towards reunification with Romania – which it was part until World War II – while the new president himself speaks of turning Moldova into a federation. In the meantime, victory in the presidential election in another East European country went to a candidate from the Bulgarian Socialist Party, Rumen Radev, a former Air Force general, who – like Dodon – said it was necessary to improve relations with Russia and to lift sanctions. Radev was elected as Bulgaria's president with 59.4 percent of the vote. He has repeatedly insisted that "being a member of the EU and NATO does not mean that Bulgaria must be an enemy of Russia."